5 REALLY Last Minute Gift Ideas for Mother's Day - "So, I've been thinking..."
Until the weekend comes, and then you don’t? Here’s a thought: once you’ve created your WeMontage, take a screenshot of your final image and print it to include in the card so Mom will see what she’s getting. If you read about WeMontage and thought, â€œWe really donâ€™t have any pictures Iâ€™d useâ€ then consider a professional photo shoot. Family portraits have come a long way from the typical â€œstand behind me with your hands on my shoulders and lets wear matching shirtsâ€ days. Now you can probably find a good local(ish) photographer who specializes in family sessions and may even offer â€œmini-sessions.â€Â Mini-sessions tend to be quicker and less expensive than a traditional photo shoot may be. If you are near Connecticut (or willing to travel) I’ve got a treat for you. 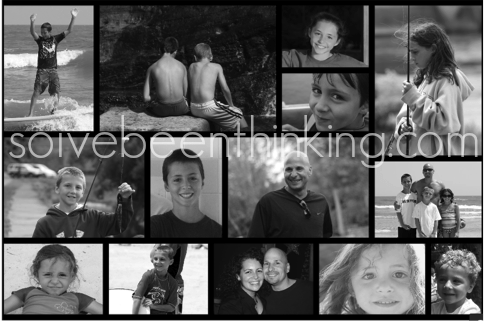 Planet Photo, owned by my friend Janet, is holding a Family Photo Giveaway in honor ofÂ Mother’s Day. This is not just an ordinary family photo shoot: Mom is going to get styled. She will get to sample a new outfit from a local boutique, get tips on coordinating everyone’s outfits, have her hair and make-up done by a professional stylist and then, once everyone is ready, head out for a unique family photo shoot. Please click on any Planet Photo photograph to go directly to the giveaway page for all of the details and to enter. Yes, I kept this chocolate away from my kids for two weeks – so I could be sure I could tell you whether or not you should try it, too. And you should. Really. It’s good. I received Firecracker, Pretzel Toffee Twirl, Sweet & Salty, and Potato Chip. I will say that the chocolate itself is really good. It’s creamy, smooth and rich. There’s nothing waxy or artificial tasting about it. I’ve mentioned I’m not a sweet-tooth but if I’m going to buy chocolate it’s going to be good quality chocolate. Chuao is just that. I love salty, spicy and peppery combinations with chocolate and these bars did not disappoint. The Pretzel Toffee Twirl was my favorite because of the pretzels and toffee! All three flavors were similar though between that, the Sweet & Salty and the Potato Chip. I loved that the chips and the pretzels were crunchy, not soggy, and the salt was complimentary, not overpowering. The Firecracker bar was also good but I’m not a huge fan of “popping candy” so while the flavor with the chipotle pepper was really good, I would have preferred a crunchy salt on top with more heat versusÂ the popping candy that is currently in the bar. (Yes, I did just offer a flavor suggestion to a chocolatier.) Â However if you love chipotle and popping candy – this is your new favorite chocolate bar. Most Moms, that I’ve read about on various internet polls anyway (so we all know it’s true), really just want some time to relax and feel appreciated. Consider making a light brunch or early dinner for Mom. I don’t mean wreck the kitchen in the process but put together a cheese/appetizer tray with some fruit (this can be simple or “fancier” and get a decent bottle of wine or prosecco. If the weather is nice, head outside to the deck, the beach a park…spend some time together relaxing. If you really want to get creative with the fruit and the wine make Mom this Simple Summer Sangria. It’s really good and I’ll bet she will share. If you’ve been here before you know I’ve enjoyed the Mother of All Meltdowns book. I’ve reviewed it, written my own meltdown story, bought it for gifts, hosted a giveaway and won a copy. It’s a good book, very funny and the stories in it are relatable for any mother with kids in her home. Right now you can get a copy of Â The Mother of All Meltdowns , it’sÂ only 99cents on Amazon through Mother’s Day. You can also enter the amazing No Mother is Perfect, Every Mother is Unique Giveaway being hosted by Mother of All Meltdowns. You only need an email address to enter – and maybe Mom will take you if she wins! For more on the book and the No Mother is Perfect Community come over here and read this. Thanks for joining me today, I hope I’ve given you some great ideas for last minute Mother’s Day gifts. If I’ve left something out please share it in the comments. I’d love to hear what you think! 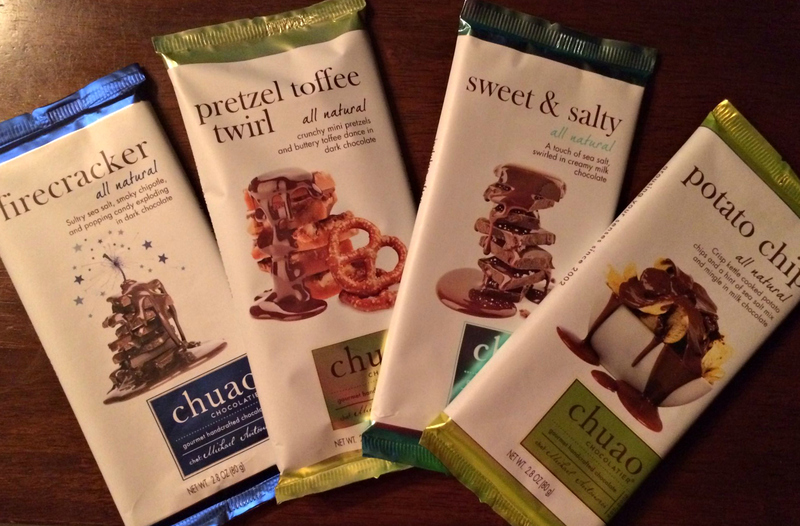 I received 4 chocolate bars from Chuao to review and offer my honest opinion of them. Which I did, above. I received 2 bottles of Anew Riesling for review, I did that review in a previous post. The sangria recipe included here uses Anew Riesling, you can substitute another wine based on your preferences. I received a copy of Mother of All Meltdowns, the book, for review. As I mentioned, I have since bought additional copies. I did not receive any compensation from Planet Photo, all photos were used with permission. All opinions about every product mentioned here are my own. Thanks Steph these were so great ideas. Thanks Narelle, hope you have a great Mother’s Day! Thank you Janine! I wonder if I could convince Greg to get me all of them? I totally will, but don’t hold your breath I doubt that’s happening! All of my favorite things, right here! Seriously. Yeah, this wasn’t really too difficult to put together at all. I hope you enter the contest, Janet has traveled to meet people, she doesn’t have to stay local to NM. And her photography skills are pretty impressive. Thank you for the gorgeous photos. Is it wrong to say I hope I win? If I don’t – I do need to schedule something, it’s a sad state of affairs as far as family photos are concerned over here. Happy Mother’s Day to you, too, Janet. Great list Steph! 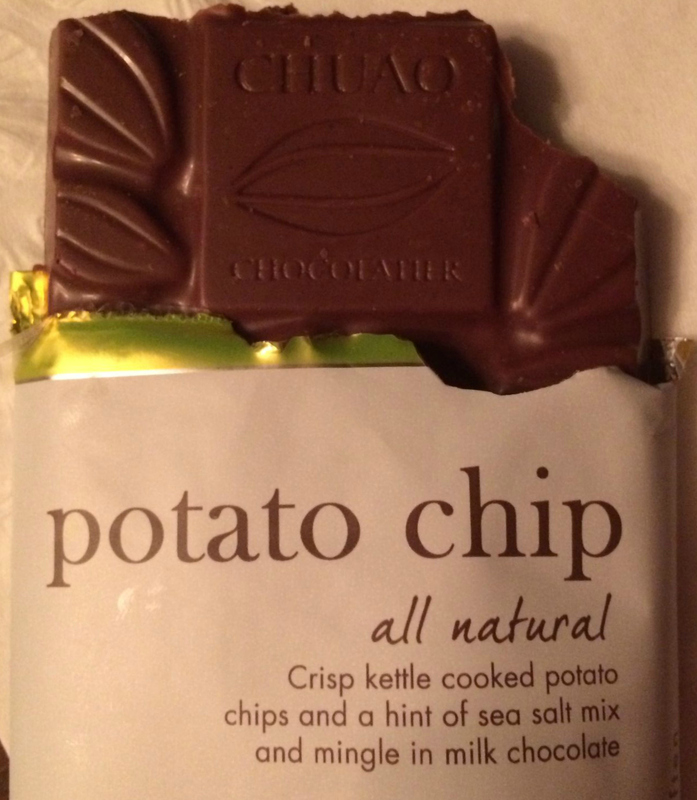 Potato chips covered with mild chocolate? You had me at hello! And an early Happy Mother’s Day! Thank you Scott. You really need to check out Chuao. It is soooo good! LOVE this list! 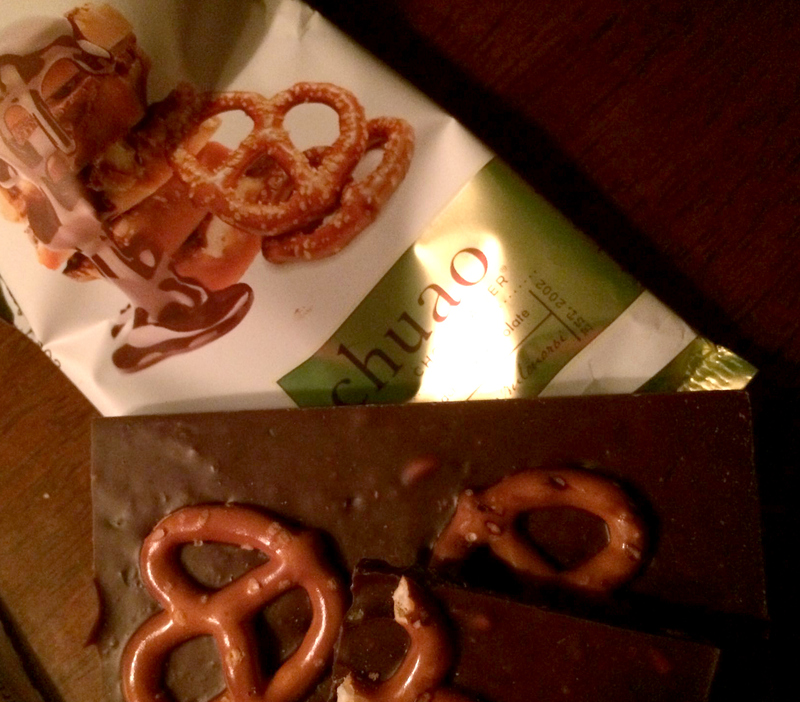 Northville Market carries Chuao, and I had the potato chip chocolate bar the other day and it is amazing! I did not share. I ate it while the kids were in school. Happy day for me. Janet will be doing our family pics this summer and you know how much I love WeMontage! Just made one for a graduation gift! Pingback: #AskAwayFriday with Rabia - "So, I've been thinking..."